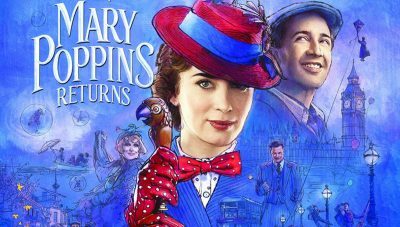 “Mary Poppins Returns” Presented by Faith and Family Films at the Red Brick Church In Randolph VT for one night only. 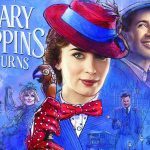 Parents need to know that Mary Poppins Returns, starring Emily Blunt as everyone’s favorite magical nanny and Lin-Manuel Miranda as her Cockney lamplighter pal, is a sequel to Mary Poppins, the Oscar-winning 1964 classic. 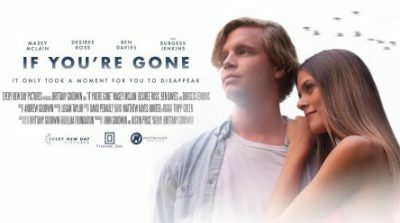 As she did before, the flying, singing, lesson-imparting Mary arrives to help the Banks children — this time, the three kids of a now grown-up Michael, whose wife died a year before the movie starts (he and the children speak and sing about missing her) and whose family home is in danger of repossession. The sequel departs from the original by adding a clear villain and a few scenes of peril/suspense (including a mostly animated but still tense chase through a dark wood), though nothing ever gets too scary. But it follows in the original’s footsteps with its catchy songs and strong messages about imagination, gratitude, empathy, kindness, looking past the surface, and — of course — being close to your family and believing in yourself. The big summer films are coming!